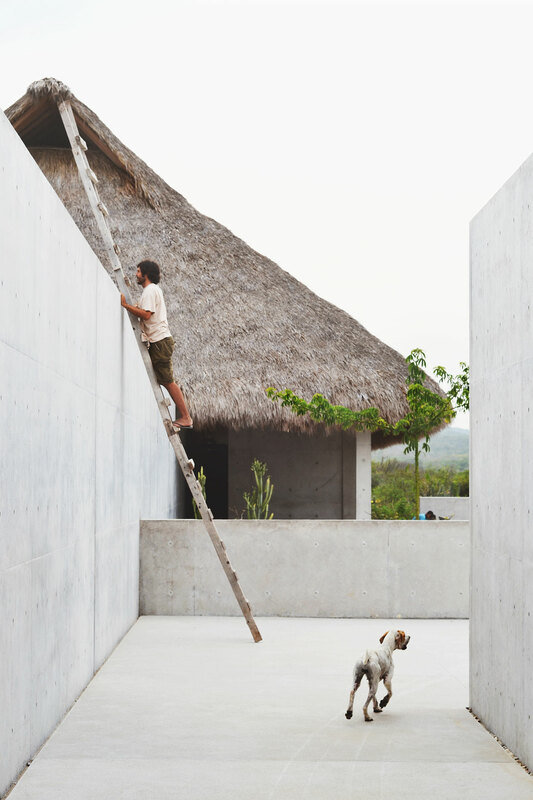 Photography by Fernando Farfán for Openhouse Magazine. 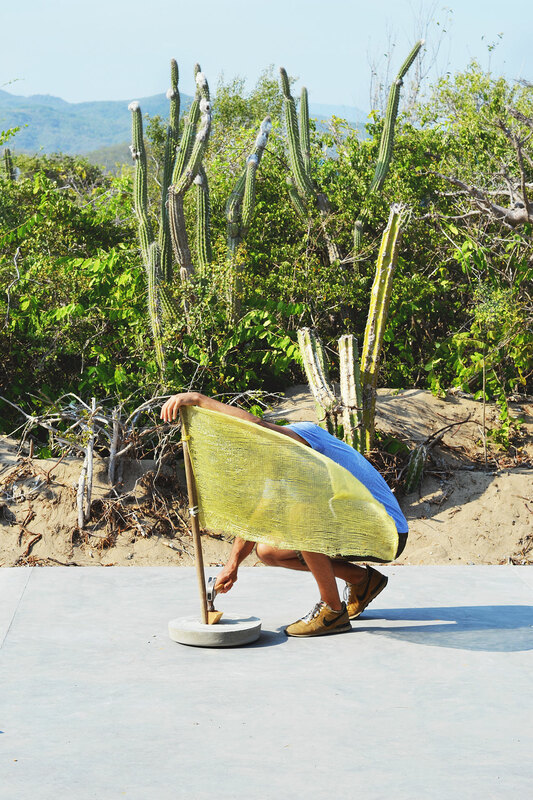 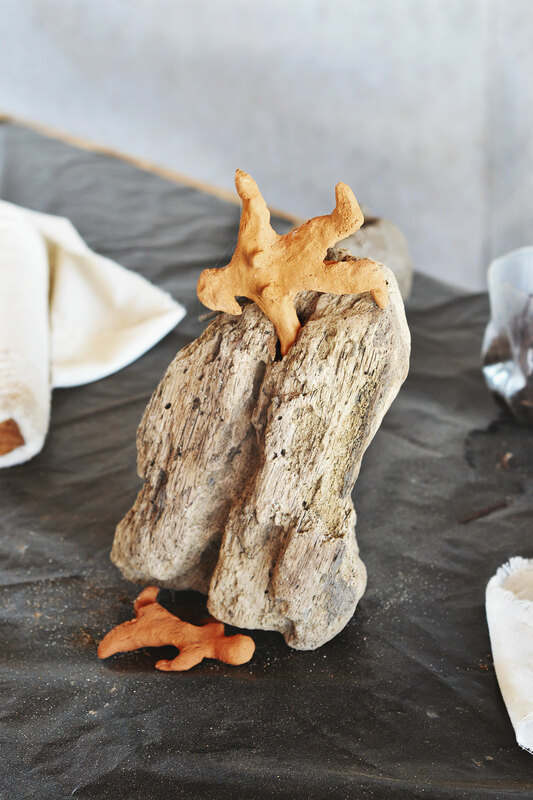 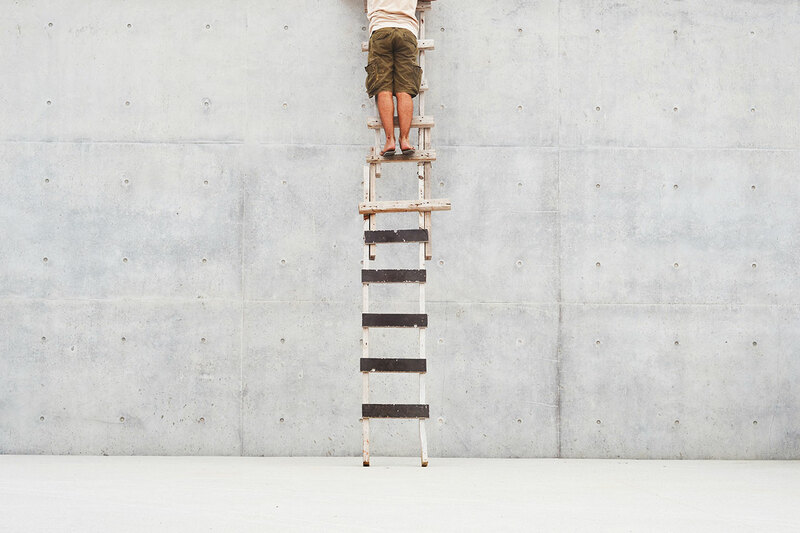 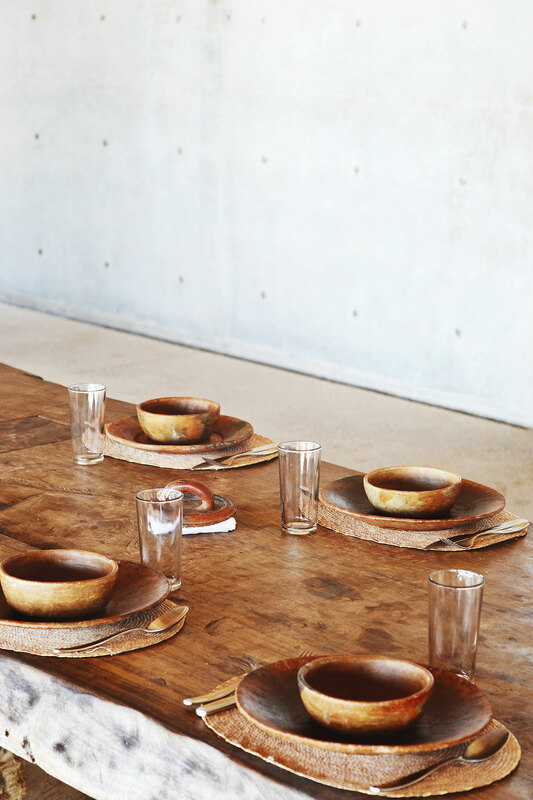 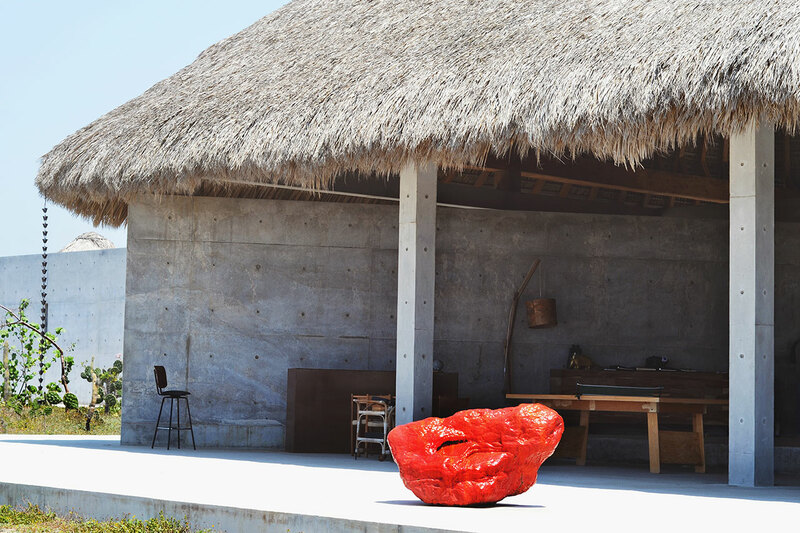 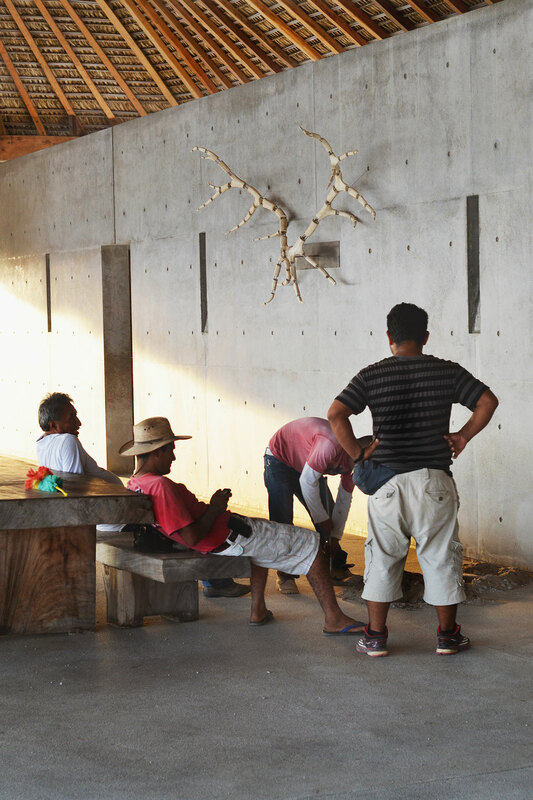 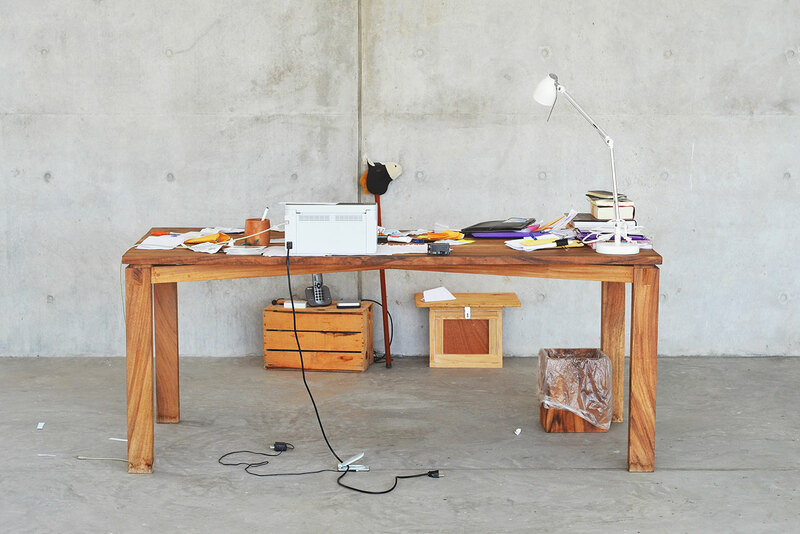 Artists are always seeking inspiration; so imagine the exceptional results when they are invited to work in a stimulating environment such as the Casa Wabi Foundation, the popular artists retreat established in 2014 by Mexican artist, Bosco Sodi, located in Puerto Escondido, Mexico. 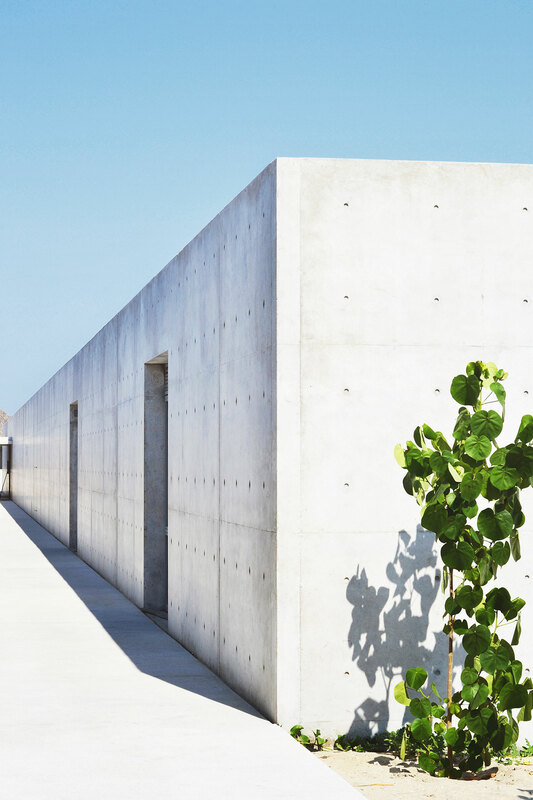 Directed by Patricia Martin, this oceanfront compound was designed by Japanese architect, Tadao Ando, and beautifully represents the stripped-down balance that can come from the melding of contemporary, simplistic forms and traditional, time-honored techniques. 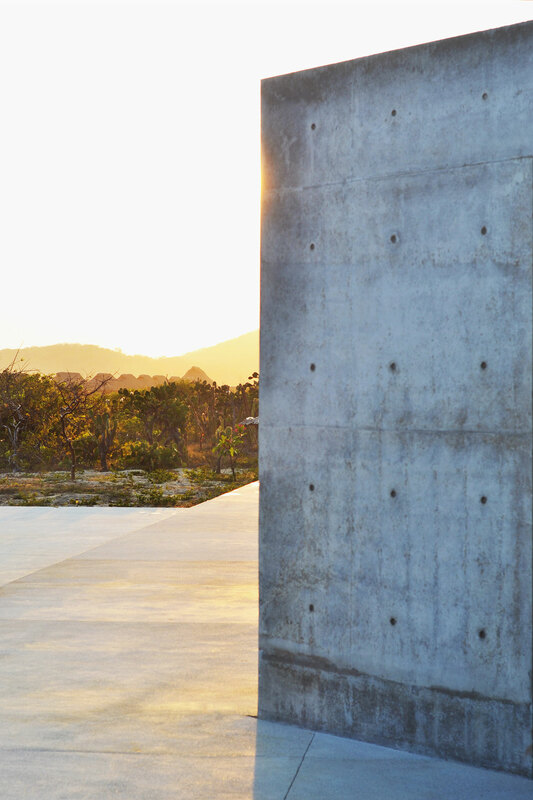 The heart of its design is a 312 meter long by 3.6 meter high concrete wall that runs east to west, parallel to the ocean. 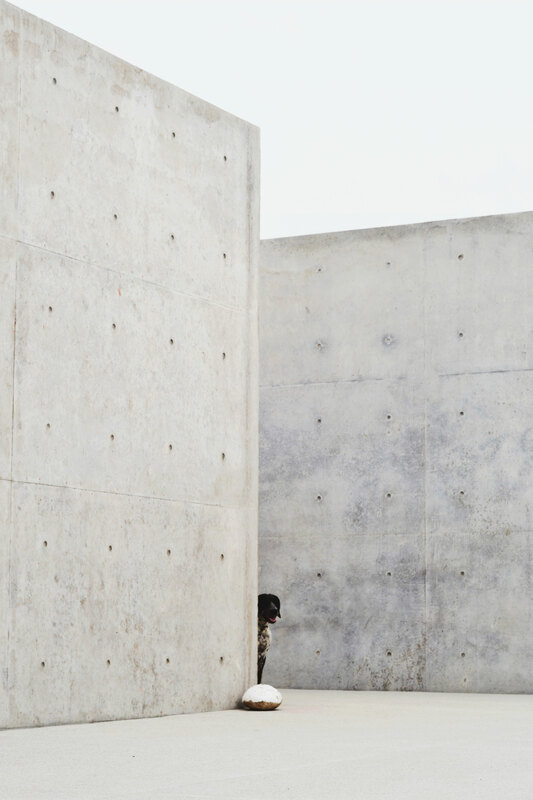 This separates the compound's "public programmes" on the wall's north side and "private programmes" on its south side. 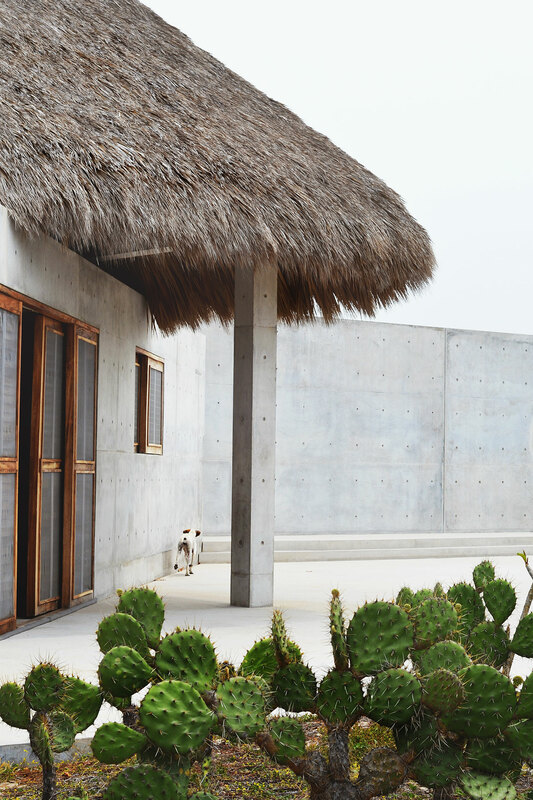 A vertical, north to south road leading to the exact center of the wall is then "mirrored" on the other side of the wall by a long, skinny outdoor terrace with two pools, these being a rectangular lap pool and a triangular wading pool that face the ocean, forming a perfect cross in the compound's design. 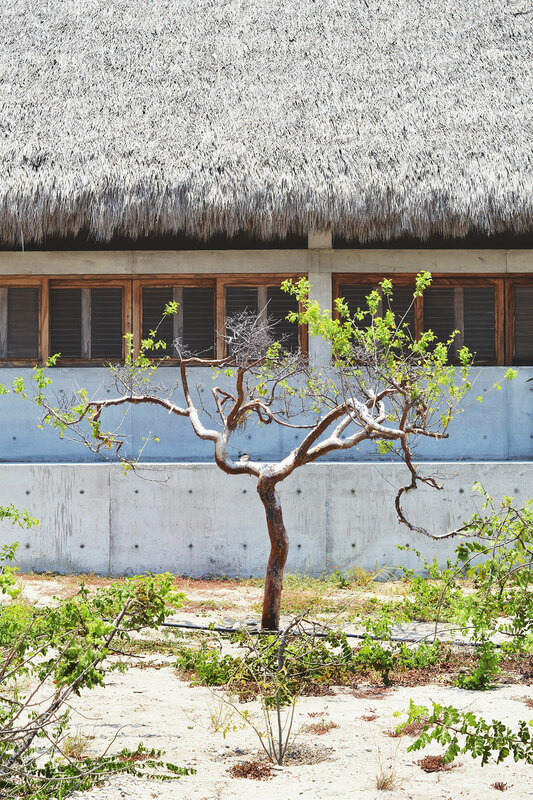 Zooming into the center of the compound reveals the main building which is separated by the concrete wall into a "north half," which houses the reception areas, and the "south half," which houses the main living areas. 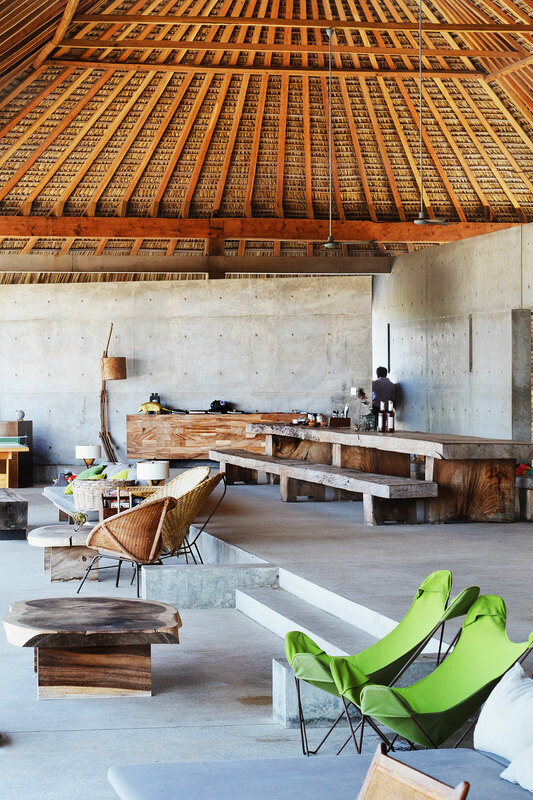 These living areas are designed to meet all the requisite requirements of a Mexican "dream beach house", and feature an open layout that blurs the boundaries between the indoors and out and a traditional Palapa roof made of layers of dried Royal Palm Leaves which allows for plenty of natural ventilation. 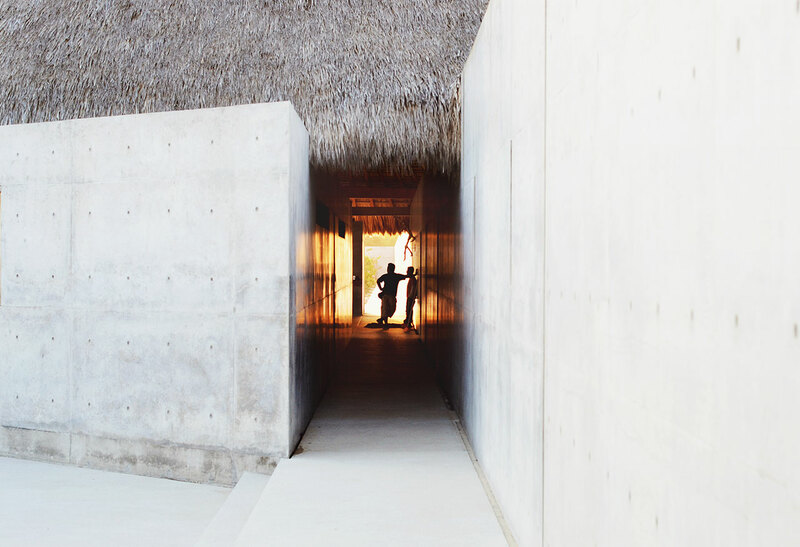 The building is also surrounded by sand dunes and free-growing vegetation while it’s "crowned" by the two pools running along the long terrace, leading to the surf while Bosco Sodi's covetable, personal living quarters are housed hidden away beside the main living area, behind a concrete screen. 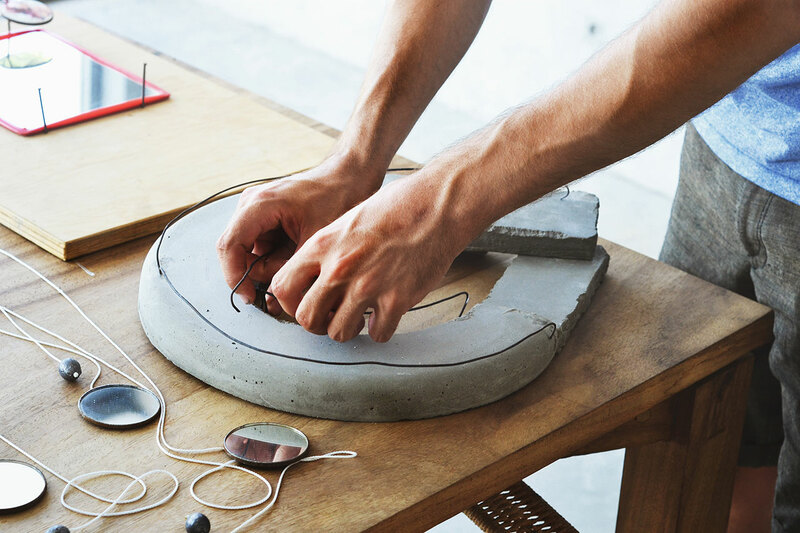 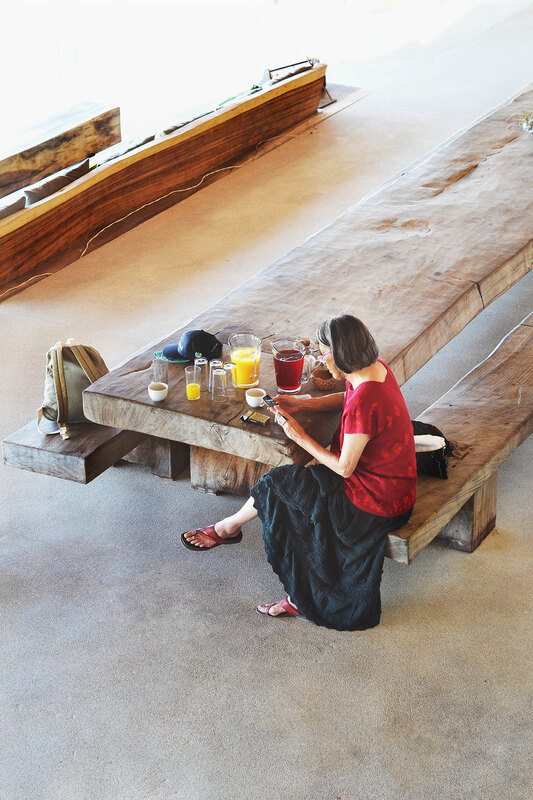 Ample floorspace has been dedicated to workshops and office rooms, where artists-in-residence can work, research and experiment. 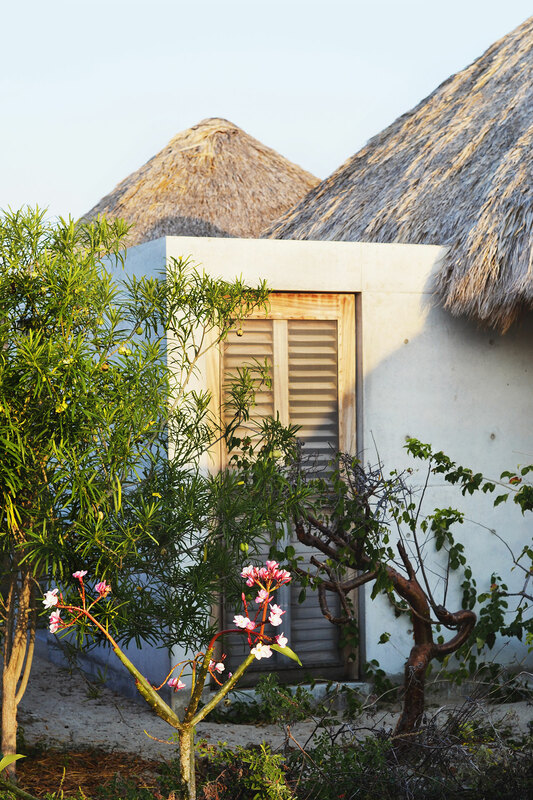 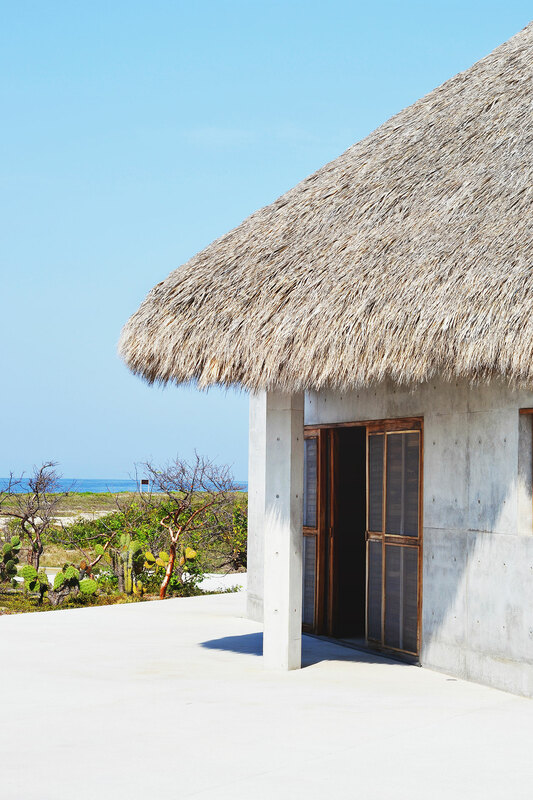 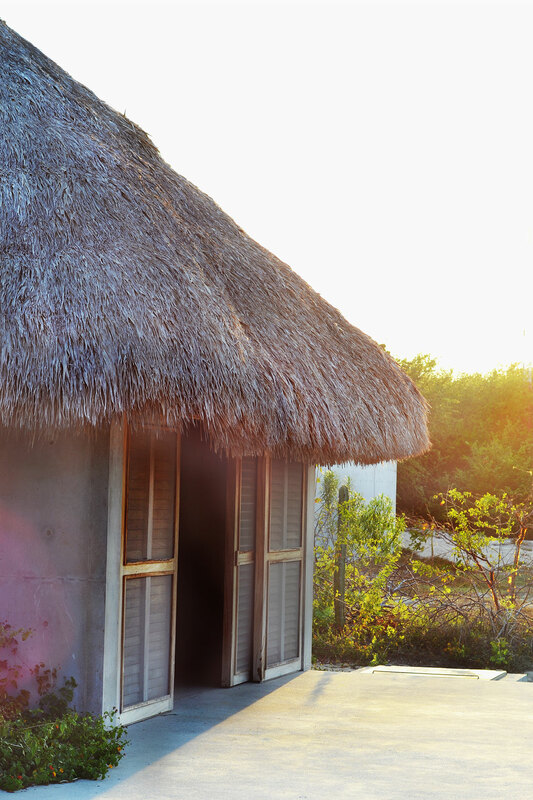 To the west of the main building, facing the ocean, stand six small cabins/guesthouses, each boasting their own Palapa roof, ocean view and creative inspiration. 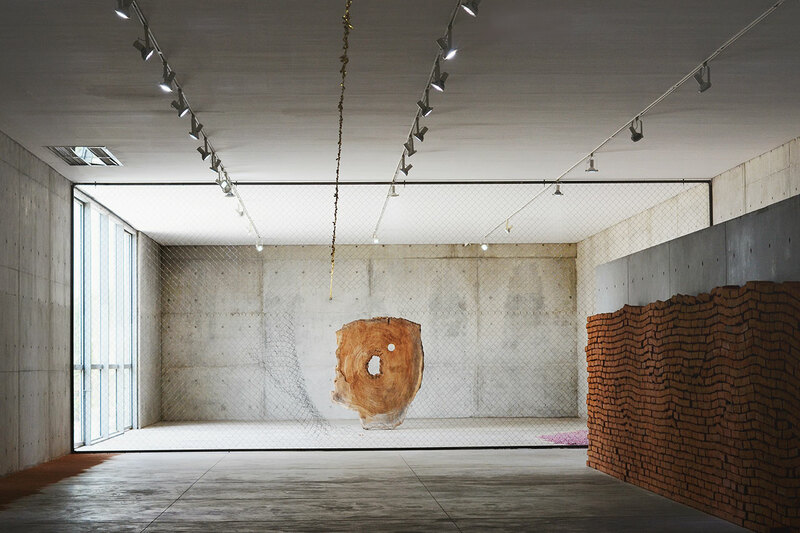 While to the east, behind the wall (facing the street, on the north side), a long, narrow gallery space includes an artists' studio designed to get plenty of use from Casa Wabi's permanent and transient residents. 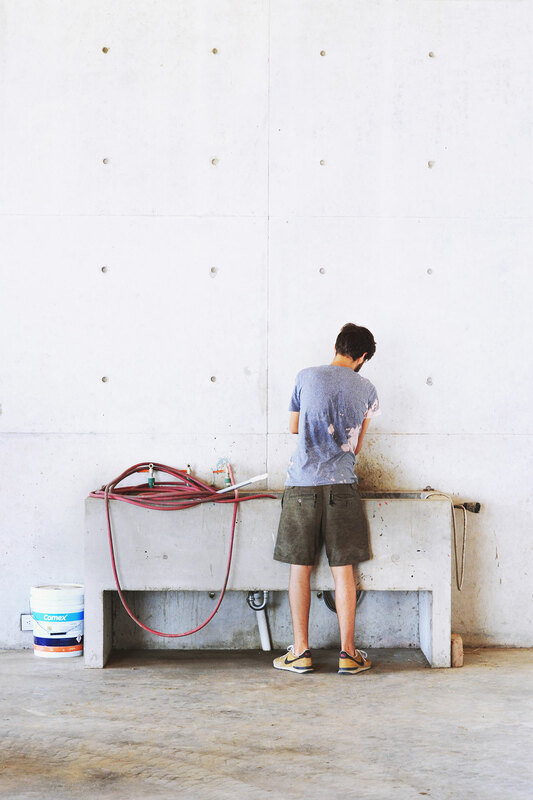 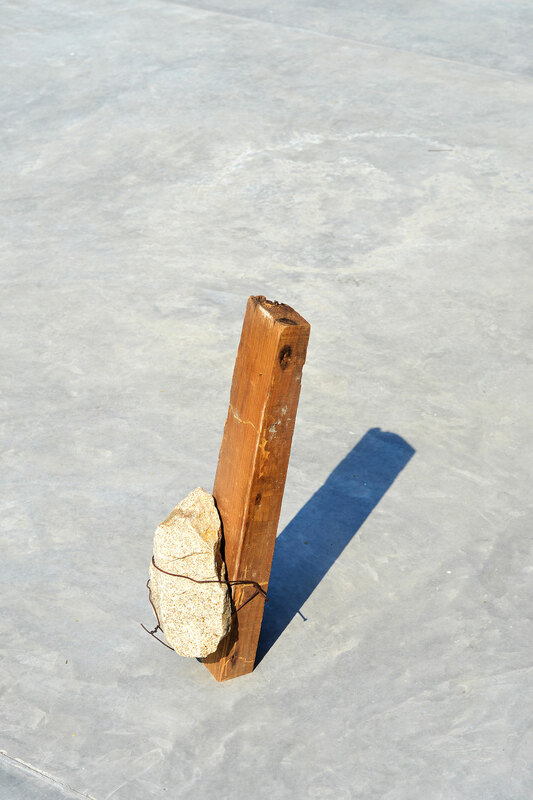 Tadao Ando was very enthusiastic about using distinct, local materials, "To create architecture and spaces that cannot be created other than in this location," such as marmolina (granite/marble mix) as well as Parota (a Mexican hardwood) for the flooring. 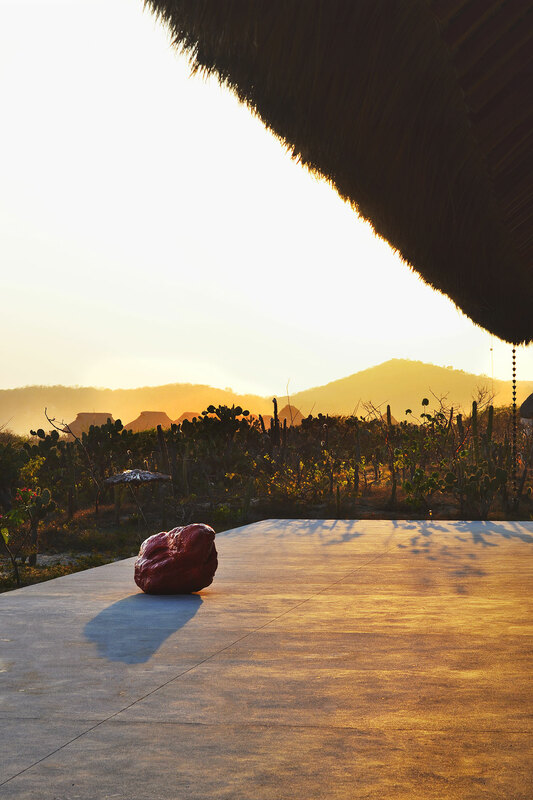 Not only does Casa Wabi promote sustainability in its design, it proves this fact through the daily use of its fertile produce garden and its large apiary which produces delicious honey. 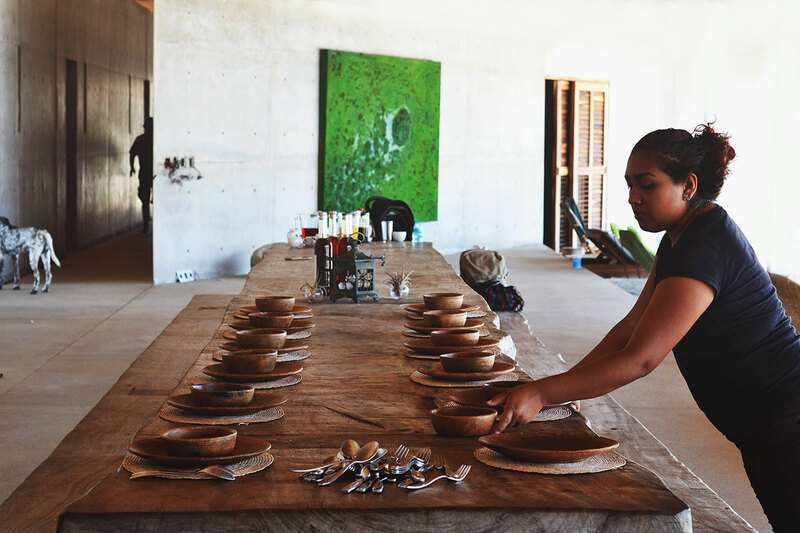 Combined with such beauty, waking up to feast on a breakfast of fresh fruit and honey beside the lapping surf must provide the ultimate inspiration for creating a masterpiece.